Whether you use the models here or explore more on your own, consciously enacting mental models to help you deal with the decisions you face every day will help you chart your path forward. Mental models are frameworks we use to make decisions, explain things, or think about the world. We use them subconsciously and many have become reflexive to our everyday lives. If you’ve ever made a pros/cons list, considered the opportunity cost of a situation or taken an action based on FOMO, you’ve applied a mental model. We’ve written about confirmation bias, an important one for product managers to keep watch for, yet there are hundreds of less commonly applied mental models we can use to deliberately frame our thought processes. When you apply mental models as a deliberate thought tool, not just a reflex, they can help you explore illuminating paths to better decisions. Out of thousands of different mental models, some apply uniquely well to helping teams building great products. Here is a list of nine mental models to use when thinking about and solving problems for your product. 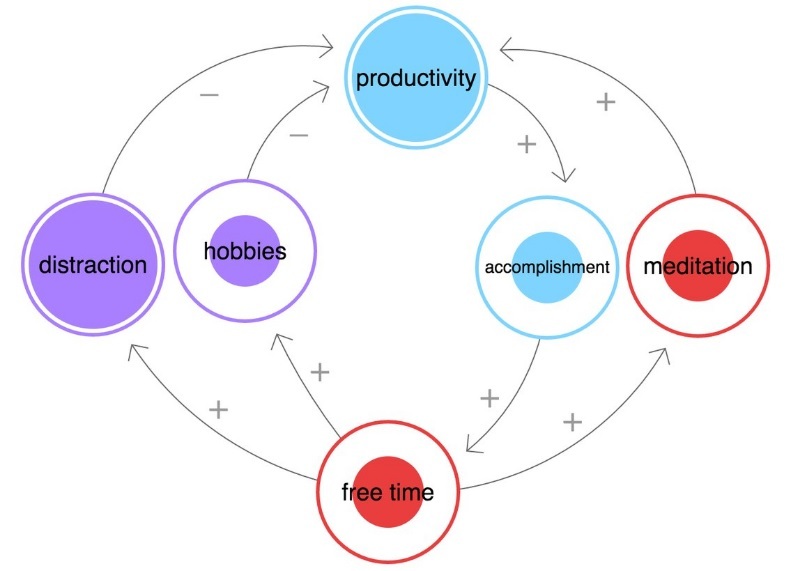 The causal loop model is a way of understanding the links between things by identifying positive and negative correlations. When you build causal loops, you map out how a system functions by outlining the ways in which all the parts work together. How it helps you: Causal loops help you avoid tunnel vision by forcing you to look at everything in tandem. If you’re narrowly focused on a lower than average conversion rate for the current month, or you’re starting to see great 7-day retention, causal loops can help identify other factors at play that make metrics possible. Thinking with causal loops can also help you realize the impact of your decisions before you make them, so you don’t get blind-sided by their effects. If you decide to push full speed ahead for a new feature, you will probably see a dip in some other area, like bug fixes. Understanding the relationship between the two helps you balance your investment. The Pareto efficiency model is an economic model of resource allocation that says you can’t improve one thing without worsening another. How it helps you: The Pareto efficiency framework provides a couple of benefits. It helps with balancing a scarcity of resources, and understanding that making one thing better comes at a loss somewhere else. Customer experience replay tool FullStory demonstrates that this can filter down all the way through customer service. When looking at support metrics, they say, “[none] are “bad” — they simply come with blind spots you need to acknowledge…” For example, prioritizing response speed might get more customers help, but come at the cost of high quality. With analytics specifically, the Pareto efficiency keeps the balance of resources in mind when choosing which solutions your analytics are uncovering. Because it’s often easier to experiment with analytics than it is to implement a solution, it’s important to focus on what work will serve you best in all areas. Product/market fit is a way of understanding how your product relates to customers — does the marketplace demand what your product provides? It is a foundation mental model of building a product. How it helps you: Customers who have a need or want for your product are the reason that your company exists. The continued existence of your product means that you have to keep an eye on what your market is doing, and anticipate their needs as much as you can. This means that, especially where analytics are concerned, you need to keep the customer at the forefront of your mind as you make decisions. Although it’s tempting to feel as though you’ve “reached product market fit” when you have your MVP, it can come back around any time you’re trying to measure your customer’s reactions, engagement, or satisfactions. The jobs to be done model helps you think about what your building as a tool to help a person accomplish something. Turns out there’s an entire blog dedicated to this model. How it helps you: This model helps you stay focused on the core reason people are using your product. How the product works means less than what people are able to do with it. Does it solve their needs? Does it help them do their job better? Especially when interpreting analytics, you need to focus on what the customer wants and why they want to do it, not just whether or not your set of metrics looks good. What is driving users to behave the way they do? How are they utilizing the features of your product to get their job done? When you analyze your data, these are the types of questions that the jobs to be done model encourage you to ask. 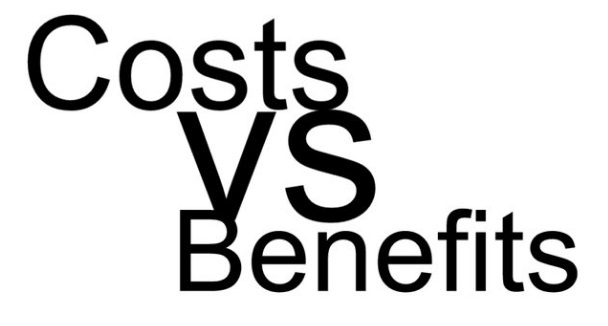 The cost/benefit model is a scale that weighs every decision between the “cost” (usually fiscal, but can be flexible) and “benefit” of the proposed solution. How it helps you: Cost/benefit analysis is a more sophisticated version of pros and cons, especially when you combine it with goals. For example, if your big goal for the month is to release a product update, then any extra project that slows the product release is a costs This can help you focus your goals by understanding that the benefit of one project might not be worth the cost that it brings for another. The design pattern model is a way to recycle things that work as common solutions to common problems. How it helps you: While originally coined for software solutions, design patterns can be used anywhere from analytics to pipeline problems. Say you notice that a group of users is significantly less engaged than other groups. Instead of coming up with a brand new solution, a solution you used in previous situation may work for this group of users. Identifying and utilizing design patters saves you from re-crafting viable solutions and saves time. You may also see anti-patterns as you start to apply design pattern thinking to your decision-making process. Anti-patterns are common responses to problems that are actually counterproductive. Once you start to define your design patterns for any given area keep an eye on the results you’re getting from your common “solutions” — if you find a few rotten apples, throw them out or figure out how to improve them. The reversible vs. irreversible decision model splits every decision along the binary of whether it not it is able to be undone. For example, making a purchase is reversible (ex: you can return it) whereas firing someone is irreversible (you cannot un-fire someone). 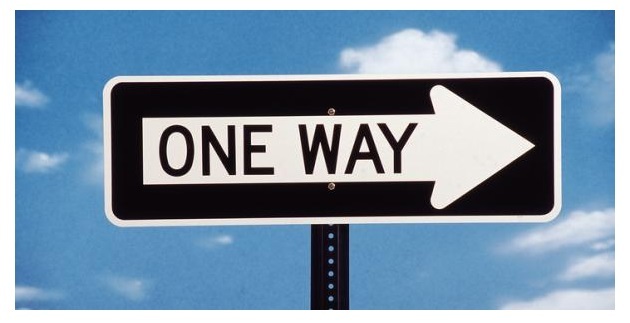 How it helps you: When you force yourself to decide whether a decision is reversible or irreversible, you’re essentially outlining the stakes of the position. It provides clarify on which decisions deserve more time, energy, consideration, and which ones are able to be made quickly. The pioneers, settlers and town planners model makes the case that different types of thinking/talent is needed at different times. “Pioneers” breed innovation on your team and your product — they’re what make your product or company unique. “Settlers” identify ways to build a sustainable business or product around what you’ve pioneered, without having to create every working part from scratch. “Town planners” rely on existing models that have proven to be the most efficient ways of bringing something up to scale. How it helps you: Using this three-way breakdown for types of hires and types of ideas can reveal when it’s best to come up with an entirely new solution or rely on existing solutions, and save time. This will keep all your resources working hardest on the types of projects where they’re most valuable. If you’re trying to figure out where you’ve been needlessly ‘innovating,’ try tracking your decisions by categorizing them as one of the above. That way, you’ll see where you can save time by implementing existing solutions. The strong viewpoint weakly held model is a way of challenging ideas by taking a “strong” viewpoint (one that can be reasonably supported) and holding it “weakly” (allowing it to be challenged and seeking out more information on it). How it helps you: Although there are some instances where a solution to a problem is cut and dry, most of what we come up against is not so clear. Especially when data and analytics are in the mix, it’s good to take a definitive stance and deliver a definitive hypothesis, but let it be responsive to new information as it comes in. This helps you cut down on unconscious bias while you cut a clear path and get things in motion. Mental models are an invaluable resource for a product manager. They can be applied across a wide variety of use cases, from analytics to product development to personnel. That's why we built a guide to help you get started with behavioral user analysis.